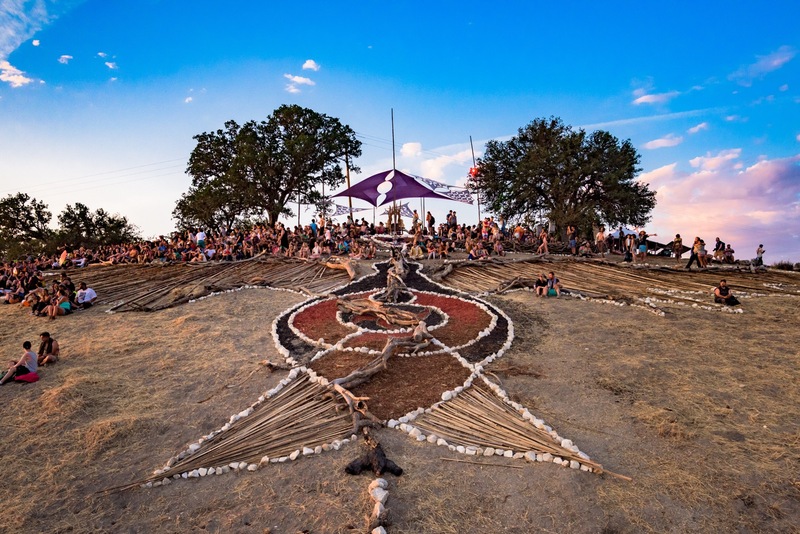 A distinct difference between transformational festivals and traditional music festivals is the widespread presence of art. Wandering the dusty trails, you frequently stumble on incredible works of art you can see, touch, and even climb on – like a museum turned inside out. Have you ever wondered what certain festivals would be like if these creations were absent? Art is such a powerful element of the transformative process; it can change us as people the moment we look upon it, and seeing what our community can create truly inspires us to build a better world. Memory – Artists not only preserve a visual reminder of a memory, they record the emotions associated with the memory. Hope – Art reminds us that there is beauty in the world that we can strive to see it, appreciate it, and have it. Sorrow – Art doesn’t just increase our capacity for joy, it validates our sorrows. Growth – Art forces you to react and empathize with situations that you’re not accustomed to. This is growth. Appreciation – Art helps us to revisit the value of ordinary things like the pretty colors in a splash of morning light on a tablecloth or the familiar and nostalgic aspects of old beer cans. 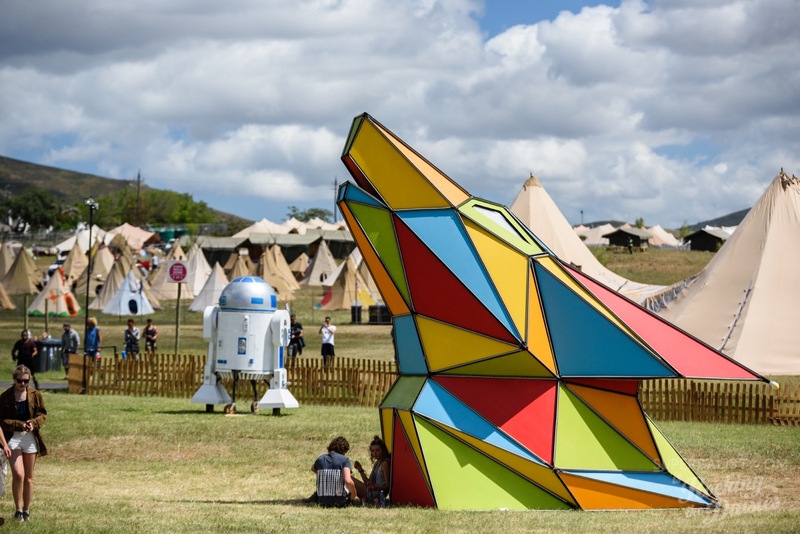 These personal responses to art can be an amazingly beneficial perk to festival life. Gazing on such creations is literally good for the mind, heart and soul. And isn’t that what festivaling is for? In addition to being incredibly helpful to our psychological well-being and personal journey, art is crucial because it’s an expression of freedom. It is the literal and physical representation of permission to express yourself – and one of the main pillars of festival life is freedom of expression. We express ourselves with awesome costumes, playful makeup, and glittering accessories. We get to step outside of our everyday identities – and festival art welcomes us into a new, imaginary world to match. It's a world where we can dance, laugh, hug, cry, kiss, sing, climb, play, swim, and sweat – and enjoy life! 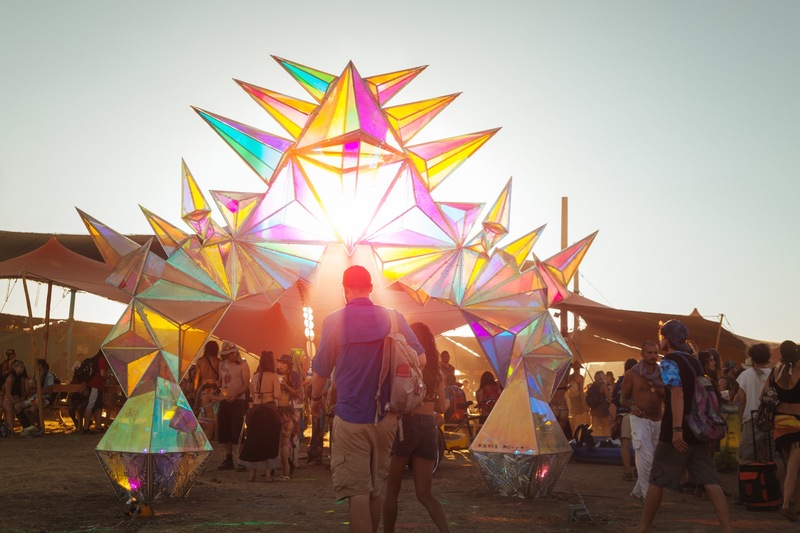 The art at festivals provides the gorgeous reminder that you aren’t in Kansas anymore, and that Oz is a lot more fun. Lots of festivals make an obvious prioritization to include art in their landscapes. 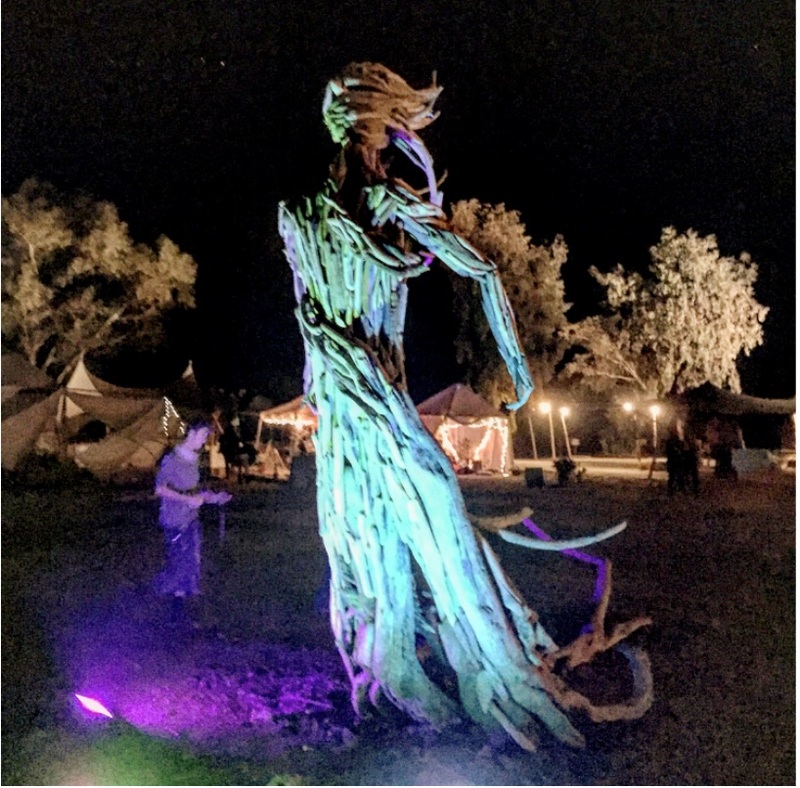 At Symbiosis Gathering, you could hardly walk 50 feet without running into an art installation. From the gorgeous rainbow-iridescent geometric archway welcoming us at Center Camp, to the floating succulent ridden garden stage, The Atoll, everywhere we looked there was a special little detail to augment our journey. At Lightning In a Bottle, there's seemingly art everywhere, whether it's the nourishing, vendor-adjacent area for people to sit, meditate, and add to altars; the tranquil lookout emblazoned with a bird sculpture made of found materials atop Meditation Hill; or the living, breathing, interactive installation known as the Lightning Inn, by Imagine Nation. 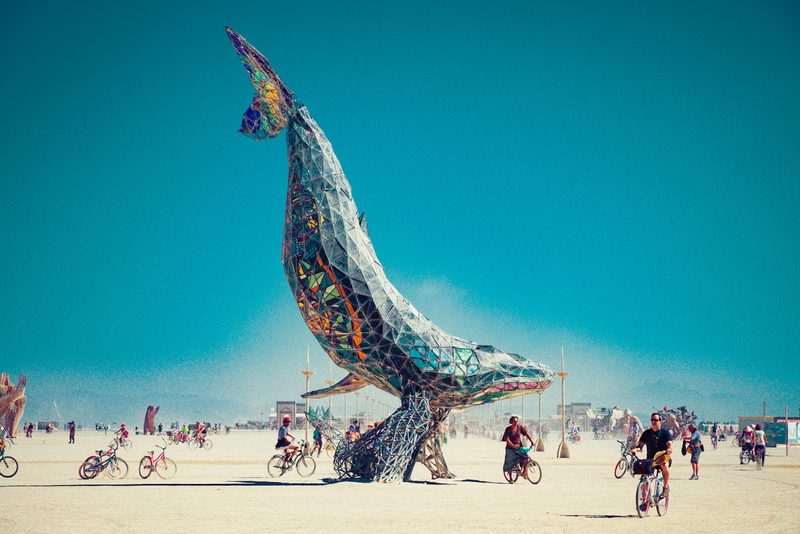 At Burning Man, as we all know, visual, sonic, and performance art is everywhere – and the bigger, the better. 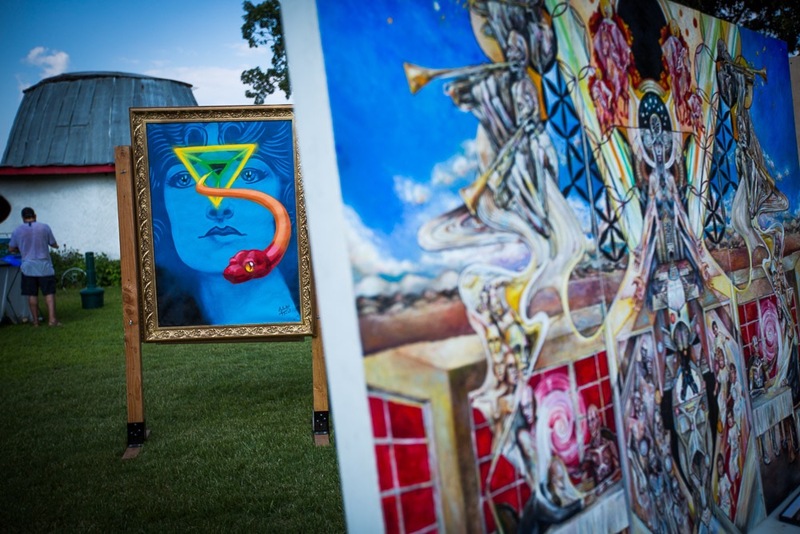 The event collects and supports an almost unfathomable amount of art installations and experiences in one place, through annual grants. Head one block in any direction and you’ll find a unique piece with which to interact. 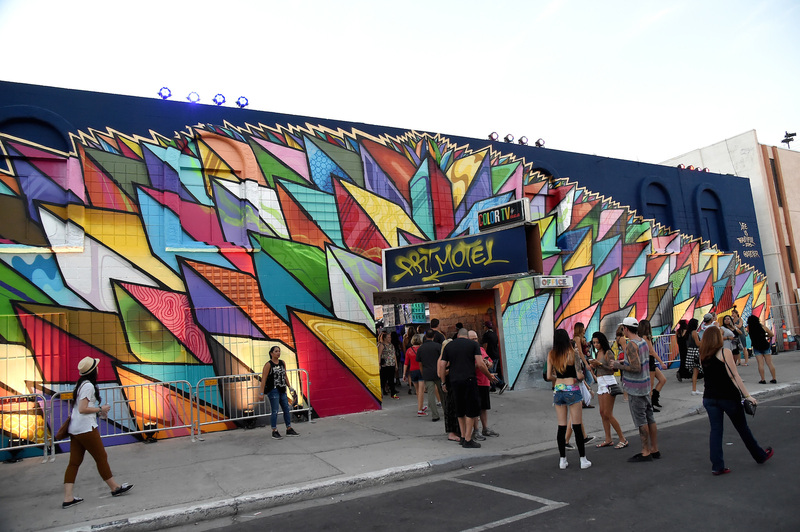 Life Is Beautiful transforms not only its festival but Downtown Las Vegas into an art-inspired playground with the works of some of the biggest names in international street art. Their gigantic murals, stencil, yarn installations and posters installations has the power to redefine Downtown and "encourages a bond to one’s environment as an awareness of the creative potential of the community." 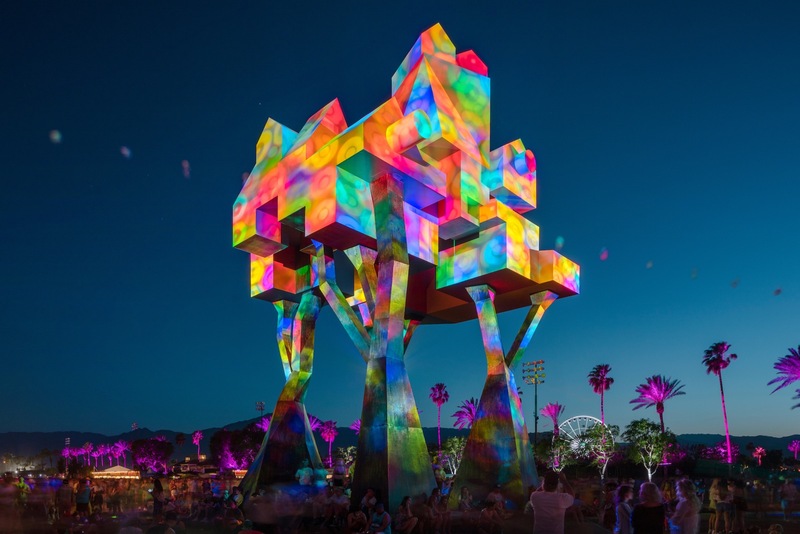 Even Coachella, which has primarily been a music festival thus far, now has a wonderful collection of pieces and installations each year so music lovers can expand their minds while traipsing around the festival's green acres. Art can also be unbelievably inspiring. 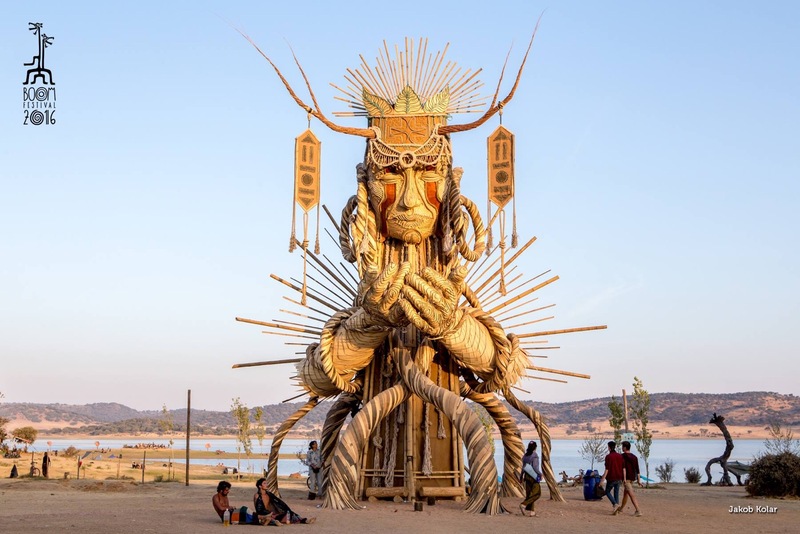 One of my favorite pieces I have seen floating around the festival scene is a tall wooden figure with the caption: Nature Loves Courage. The quote is incredible, but it was the arrangement of the wooden form that sparked in me a deeply profound feeling. Gazing at the human figure brought me to tears. It was its stance – that certain thrust forward of the heart toward whatever may come – that touched a part of my soul. I instantly remembered times when I had felt such bravery and dedication to passion, and I immediately craved that feeling again. It reminded me of times when I met my challenges and faced my internal cosmic journey without fear and with intense possibility. I stood there and contemplated changes I could make in my life to find that feeling again. I questioned how long it had been since I’d felt how that figure looked. I can’t quite put into words the extent of my emotional reaction to this piece. And the irony is, that is my whole point. I’m trying to describe what art can do, when what art can do is beyond words.